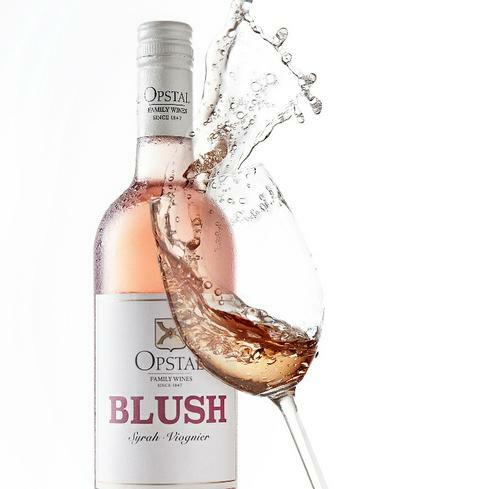 This Spring everything at Opstal Estate revolves around our Blush Syrah / Viognier wine!!! Be creative and make any dish that will pair well with our Blush Syrah / Viognier wine. Like our page and upload the photo of your dish accompanied by the recipe on our Facebook page (@opstalestate) or Instagram page using the #blushforspring. 1) The Cook with Blush competition runs from 4 September till 30 September 2017. 2) The competition is open to all South African citizens except directors, members, partners, employees, agents, service providers and consultants of Opstal Estate, and their family members. 3) Participants must post a photo of their dish and their recipe under the Opstal Estate competition post on Facebook (@opstalestate), or Instagram using the hashtag #blushforspring. 4) Any late entries received will not be taken into consideration. 5) The drawn winner who are not contactable by phone at the time of the competition draw will be disqualified and a new winner will be drawn. 6) Opstal Estate’s digital platforms will announce the winners by Wednesday, 04 October 2017 @ 12:00. 7) The judges’ decision is final and no correspondence will be entered into. Opstal Estate will not be held responsible for any disputes arising from the competition or prize awards. 8) The prize is not transferable, and cannot be deferred or exchanged. 11) Entrants will be deemed to have accepted these rules and agree to be bound by them when entering. 12) Opstal Estate reserve the right to cancel, modify or amend the competition at any time if deemed necessary in its opinion, and if circumstances arise outside of their control. 13) The prize is valid until Sunday, 31st of December 2017. 14) Opstal Restaurant’s trading hours are Wednesdays to Sundays from 09:00 – 16:30 (seated 15:30).